When your coffee business is booming and you need to expand the espresso stand, look to Alegacy's stainless steel 20 ounce frothing pitcher to keep the steamed milk flowing. 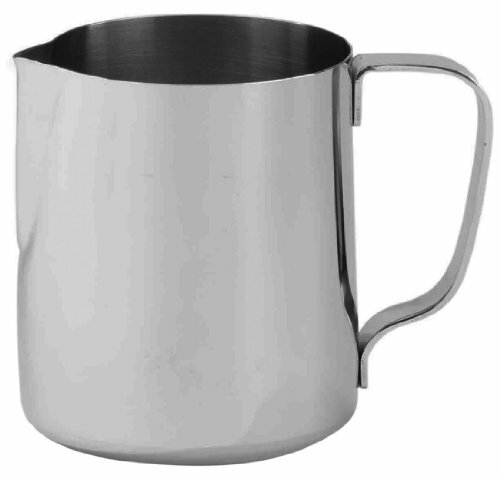 The Alegacy frothing pitcher is made of stainless steel construction with a heat resistant handle design. The 20 ounce frothing pitcher stands 4 ⅜ Inch high. Alegacy's FC600 stainless steel frothing pitcher has a molded spout making it easy to pour your steamed milk into your artfully presented espresso drink.